internal mechanism of a watch; the painstakingly fine craftsmanship, its intricate detailing, the beautiful aesthetics of the watch movement that acts as a heartbeat. 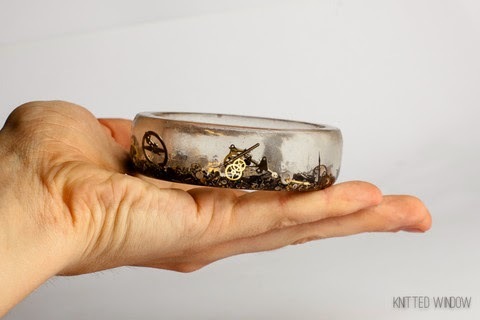 This fabulously re-imagined steampunk bangle is created using deconstructed watch mechanisms. I was intently mesmerised as I peer closely into all the tiny cogs, screws, wheels and watch handles at its abundance. 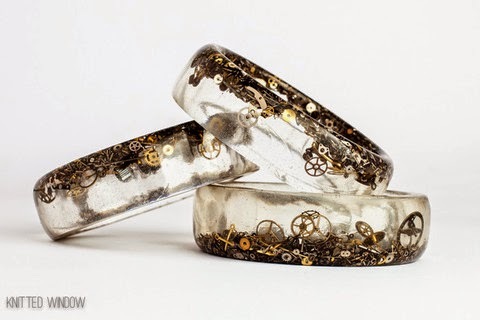 Don't worry about the tiny edges, the watch components resides safely inside the bangle made of transparent resin. 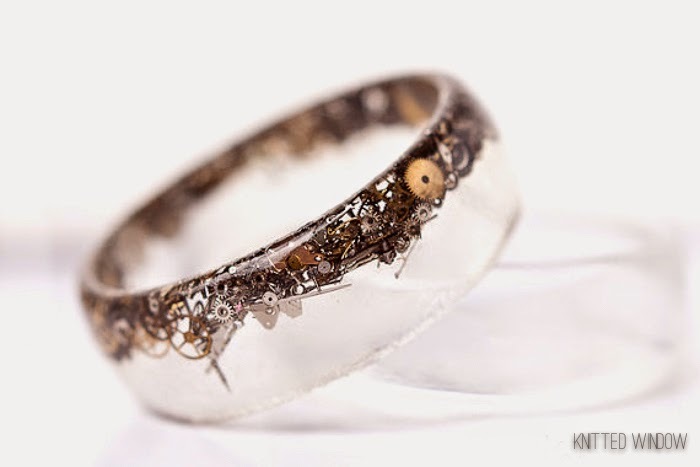 A fun and quirky way of wearing a watch...in pieces.